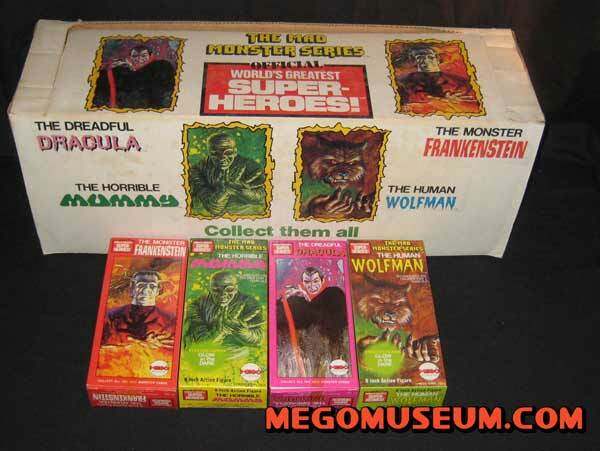 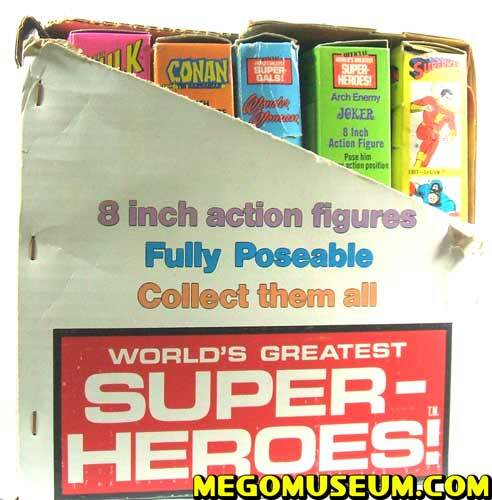 Counter display boxes for action figures are pretty much unheard of in today’s preprogrammed retail world but they were very much a part of the initial success of the Mego Eight inch action figure lines. 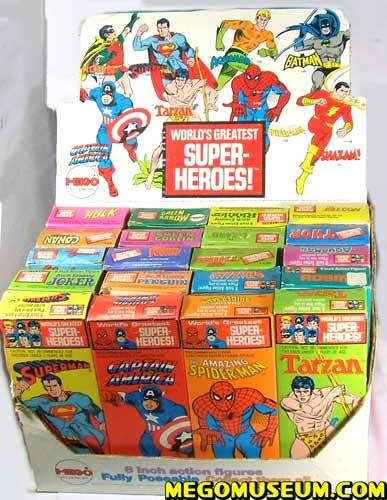 From the World’s Greatest Superheroes inception until the mid seventies when the blister carded figures began to take hold, each new wave of World’s Greatest Superheroes was launched in one of these beautiful display boxes. 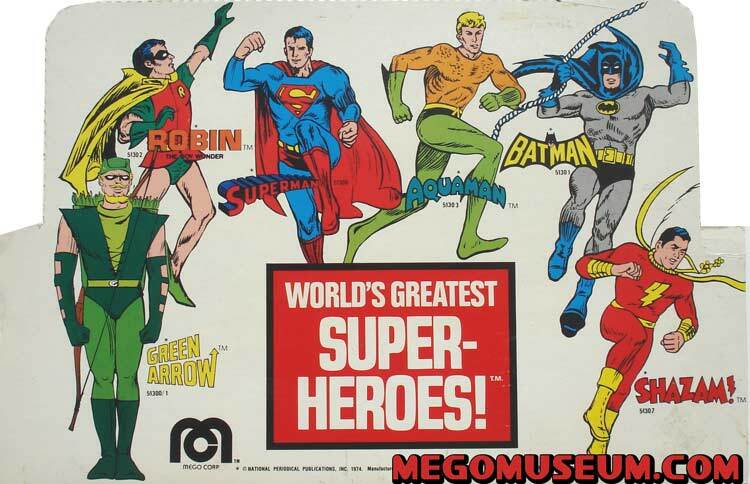 The very first display box showcased the first four characters in the WGSH (Aquaman, Batman, Superman, Robin) in their original solid boxes. 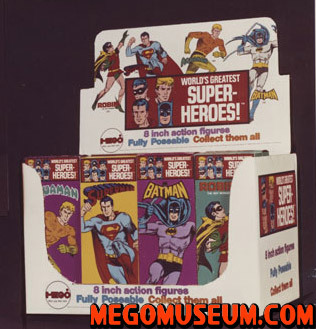 Like the solid boxes themselves, these display boxes had a limited shelf time as the WGSH was expanded to include new characters. 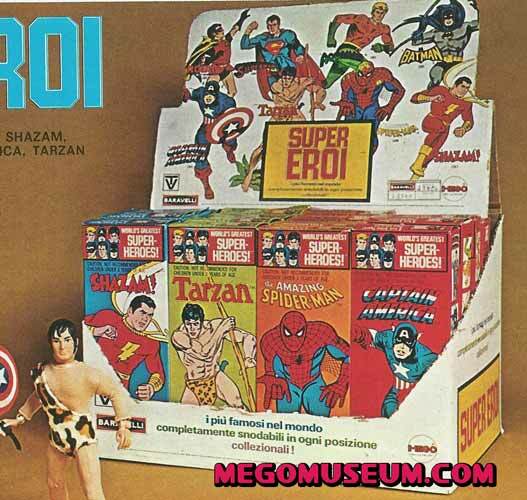 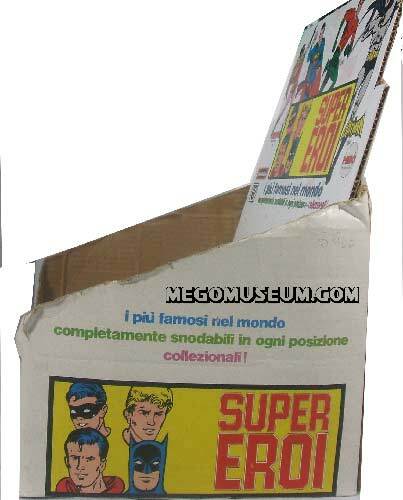 Italian Mego Distributor Baravelli also had a version of this box for their “Super Eroi” line. 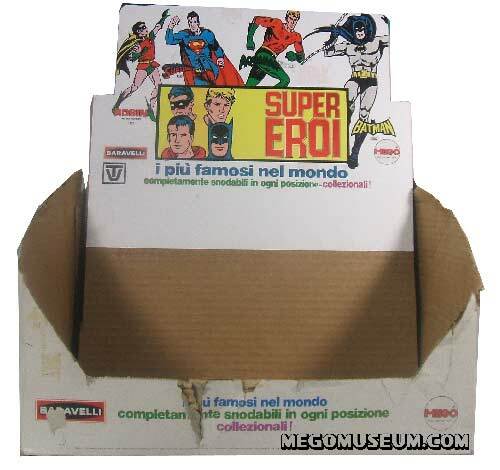 More shots of an actual Baravelli Display box, the only known sample to exist currently. 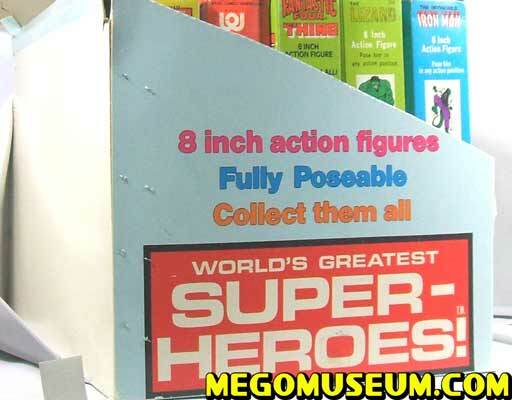 The header is reproduction. 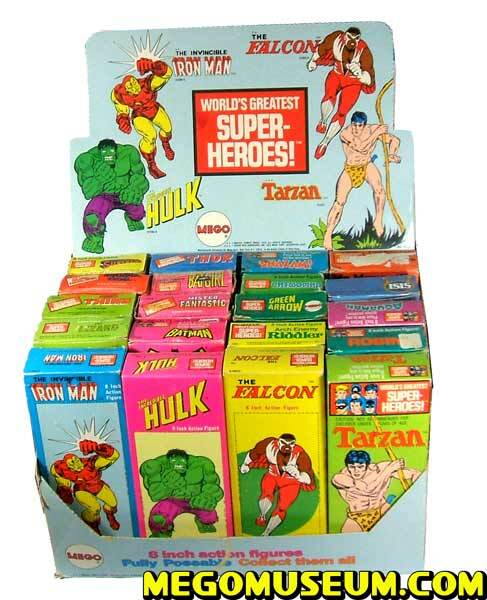 The second display box showcased not only the DC characters in the WGSH (including Shazam) but characters such as Tarzan, Spider-Man and Captain America. 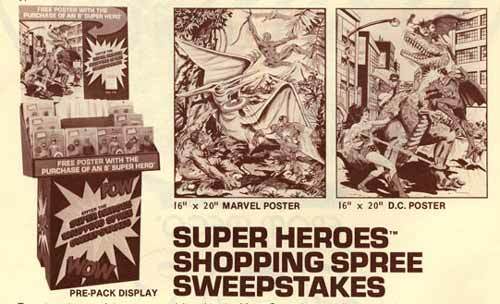 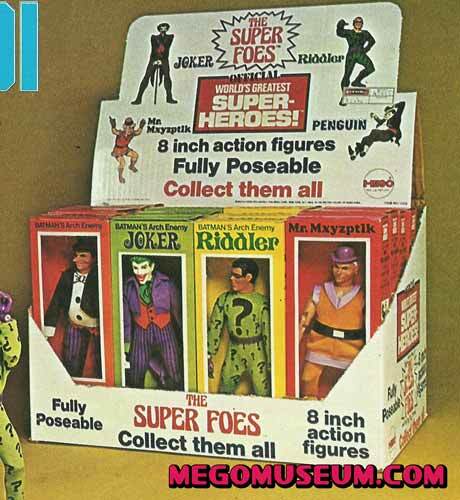 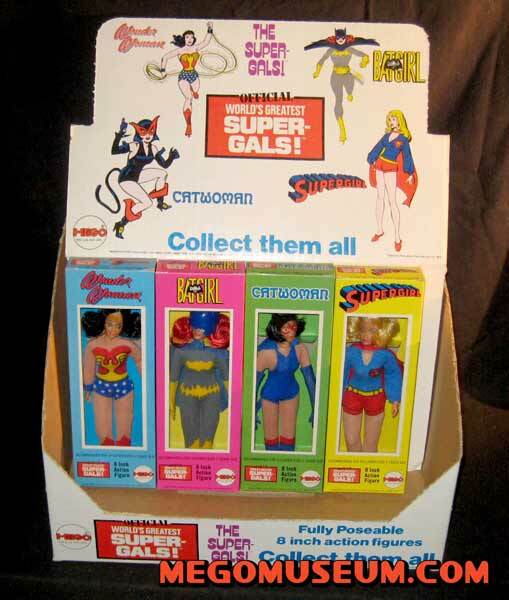 Mego would eventually stop putting Marvel and DC characters on the same packaging and this box would eventually be phased out. 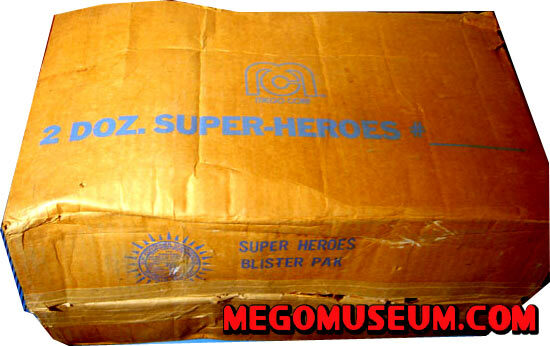 It is the most commonly found display box, yet only a handful are known to exist. 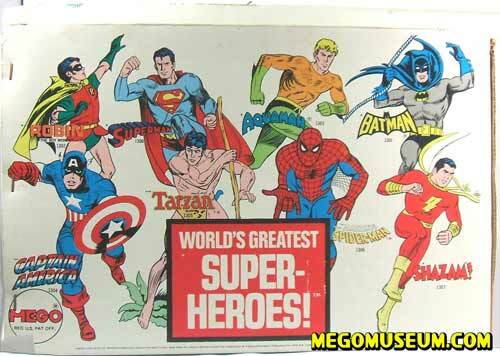 This later version removes the Marvel charaters completely and replaces them with new Mego character Green Arrow. 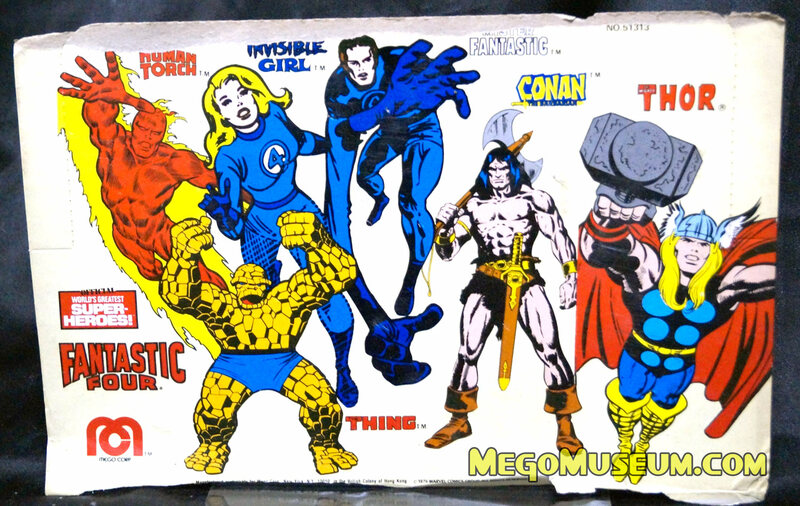 This rare display card is courtesy of Charlie Balicki, click on the image for a larger view. 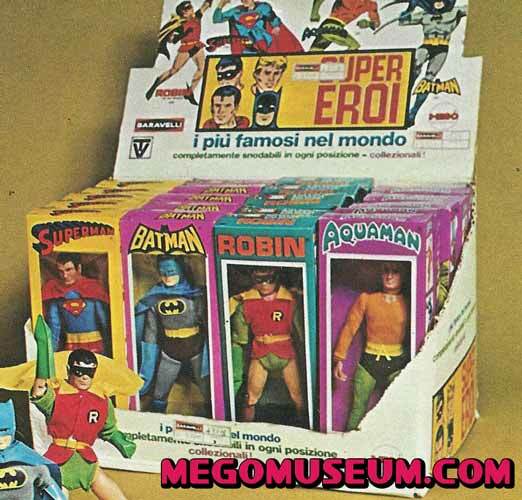 Italy’s Baravelli also created a specific Italian market display box for the new wave of heroes, it’s likely that they produced one for each wave during their tenure as a Mego distributor. 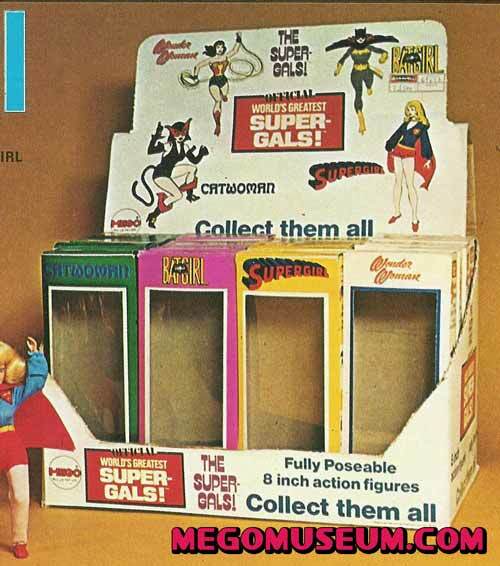 In Tandem with the Supergals, the Super Foes launch also included a counter display. 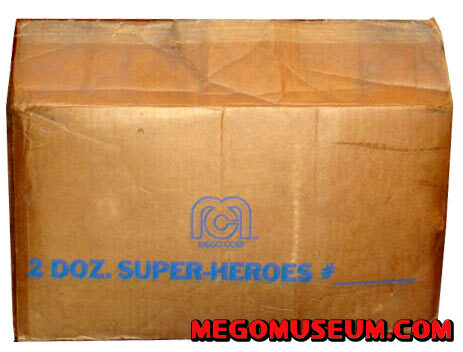 No reported sightings of the box or the header card have been found, this is an extremely rare piece. 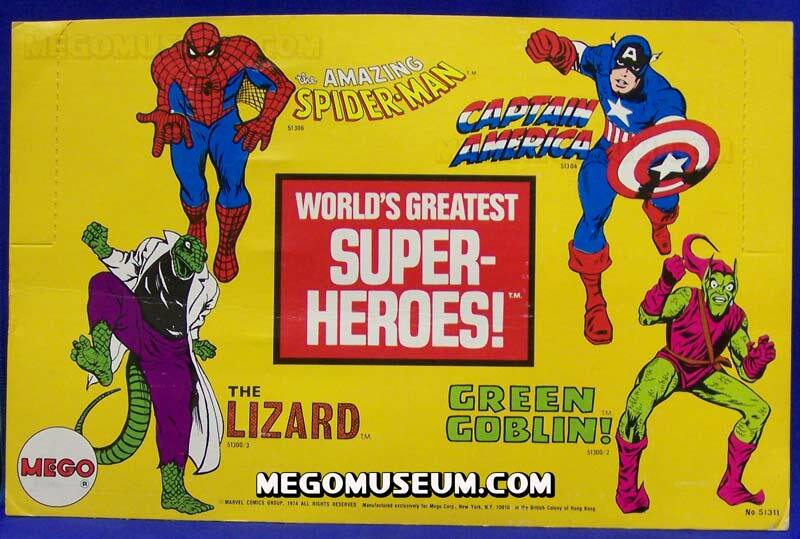 This wonderful orange box showcased Marvel’s two biggest heroes and the two new Spider-Man villains for the year. 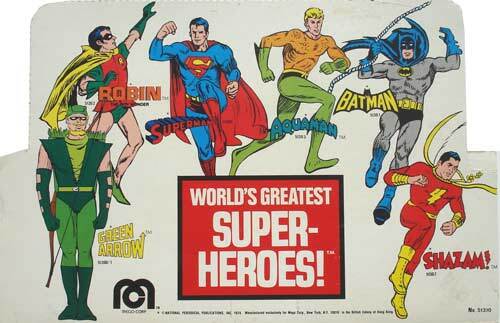 As of this writing, there were two known examples of this card. 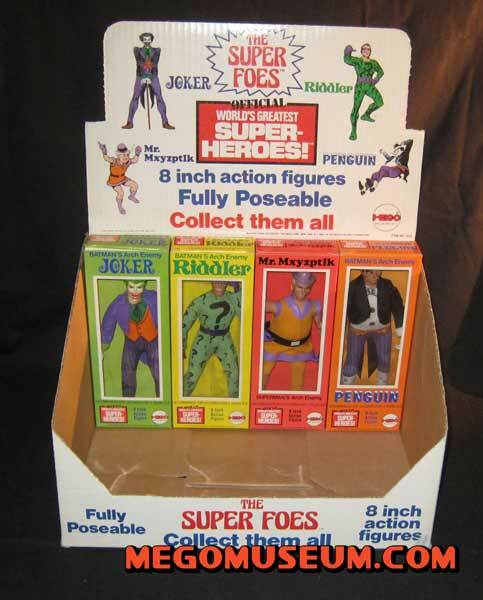 Click on it for a larger view. 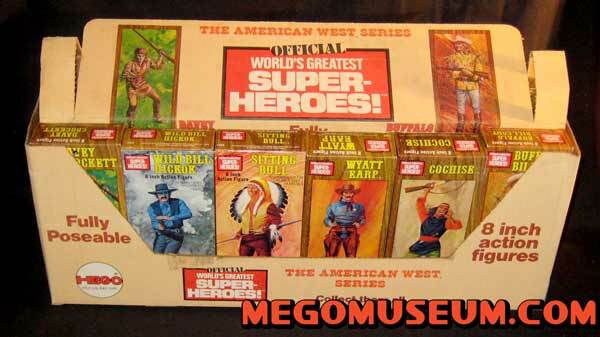 This tan display box featured the six new WGSH characters in the line, as of this writing only one appears in a private collection. 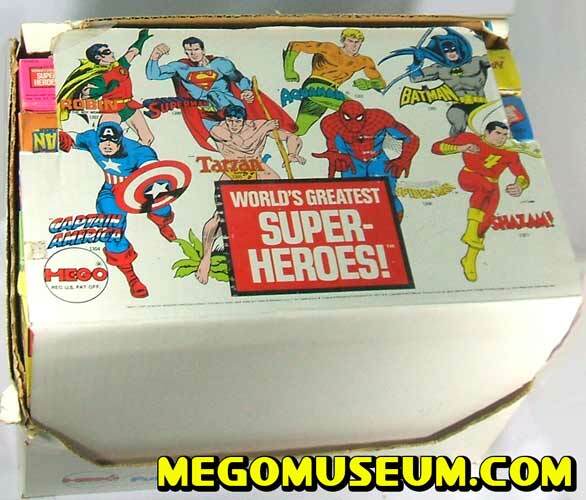 This was likely the last Mego display box produced as the company discontinued the window boxes in 1977 and the WGSH characters were then exclusively sold on blister cards. 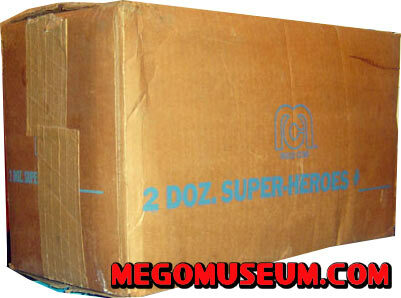 Courtesy of Dan Edwards, we have shots of an original Mego WGSH shipping case, fill it up please! 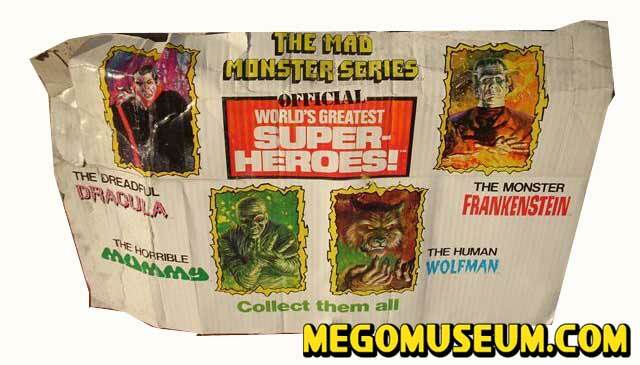 Not many of these could have survived, so we’re very grateful to Dan for sharing this great find.